A concept rendering of what the 2019 iPhone could look like. Almost as soon as a new iPhone is announced, rumors about the next-generation model start cropping up. Well, it's time for some iPhone rumors about upcoming new phones! That may seem fast, considering the iPhone XS, XS Max, and XR were only released last Fall, but Apple is always working on new models and people always want to hear rumors about those models. This article helps you know what to expect from the 2019 iPhone. It offers the most credible (and some of the most ridiculous/fun) iPhone rumors about the next-generation. Possible removal of screen "notch"
In keeping with the pattern Apple has established over the last few years, expect Apple to unveil 3 new iPhone models in 2019. Expect two of those models to be the successors to the iPhone XS and XS Max. As with those models, the primary difference between the models will be their screen size (likely to again be 5.8 inches and 6.5 inches, respectively) — though their cameras could be different, too, as we'll see. The third model is likely to fit into the iPhone XR's current place in the lineup: lower-cost, mid-size screen (probably 6.1 inches, like the XR), made from materials and components that are less high end than those used on the XS successors. One potential wildcard in the mix would be a fourth model. There has been some speculation that Apple could introduce a successor to the iPhone SE, a low-cost phone with a smaller screen. It wouldn't be a total surprise to see Apple do this, perhaps as a way to shore up flagging iPhone sales, but information is scarce right now. If such a model is released, expect it to sport older hardware (maybe something more like an iPhone 7?) and a very appealing price. Whoa boy. This is tough. The move from iPhone X to XS and XR in 2018 was not predicted by the rumor mill at all. Apple's in a tricky place with the name for the 2019 iPhones. 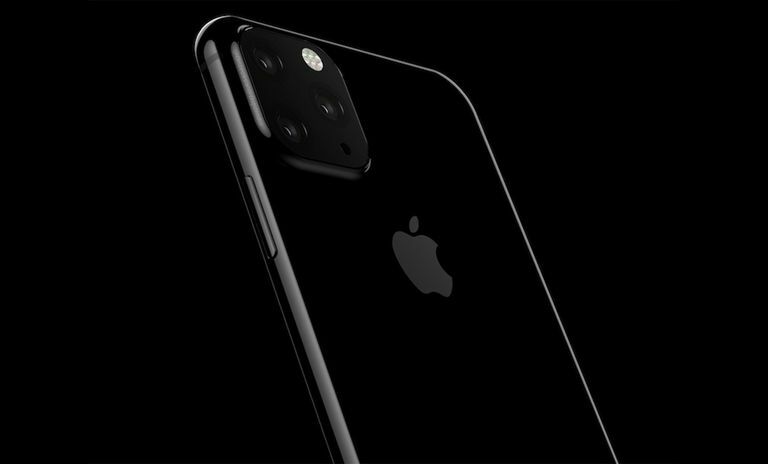 Given that the "X" in X, XS, and XR is supposed to be pronounced "ten," it might make sense for these models to be called something along the lines of iPhone 11. Doing that, though, would break the Roman-numeral-based naming system that's currently in place. If Apple were to maintain that, the name might be something like iPhone XI (presumably pronounced "eleven"), but that seems awkward. We'll just have to see. The physical design of the iPhone XS and XR phones is virtually identical to that of the iPhone X. That's to be expected. Apple usually uses the same physical case design for two generations of the iPhone and then overhauls it in the third year. That pattern is likely to hold true here, but how different the 2019 iPhones will be from past models remains to be seen. The design established with the iPhone X is pretty polished and pretty advanced, so it's a little hard to imagine Apple completely ditching it soon. Expect to see some differences, but maybe not major ones. At least one model — the most expensive, of course — of the 2019 iPhones is expected to sport a triple-camera system on its back. A triple camera would deliver all sorts of improvements for taking photos and videos, but it would go far beyond that. With three cameras, that iPhone model could include 3D sensing features. This would allow the camera to understand how far away an object is from the phone, as well as how far objects are from each other. This could deliver even higher-quality photos and, maybe most important, would add support for additional Augmented Reality features, object scanning, and much more. The iPhone XR is a great phone at a great price, but it has less-advanced hardware than the more-expensive XS and XS Max. That's particularly true of its screen (LCD instead of OLED) and camera. Whatever model replaces the iPhone XR in 2019, expect this pattern to hold. The phone will still be good, but the most advanced features and hardware will require you to buy the more-expensive models. Improved Face ID Removes Notch? It wouldn't be a surprise to see a second-generation version of the Face ID facial recognition system debut with the 2019 iPhones. Apple made improvements in a similar timeframe with the Touch ID fingerprint scanner. An improved Face ID system would likely be even faster and more accurate, could take up less space on the front of the phone, and extend Face ID features to third-party apps. A second-generation Face ID might be small enough to eliminate the controversial "notch" at the top of the screen on the iPhone X, XS, and XR. Every new iPhone has a faster, more powerful processor at its heart. That's bound to be true in 2019, with each model expected to get the upcoming Apple A13 chip. Like previous processors, this one is 64-bit. To unlock true 64-bit processing horsepower, you need 4 GB of RAM. The iPhone XS series has 4 GB of RAM. Don't expect that to change in the 2019 iPhones, but that still gives you access to a lot of processing power. The industry is waiting for the first mass-market smartphone with a truly foldable screen. Once we can fold the display, phones can be very small and then opened up to become bigger. The rumor fires have been stoked by Apple receiving a patent on a phone with a foldable screen. While it's almost certainly true Apple is prototyping such a device, a patent isn't a product. Don't expect to see a foldable iPhone for another few years, if not longer. The Apple Pencil has been a great accessory for the iPad Pro, unlocking new options for creating art and collaborating on documents. There are persistent rumors that a version of the Apple Pencil is coming to the iPhone. Lots of people are excited about the possibilities that the next-generation cellular networking system — called 5G — will bring. The iPhone will support 5G, but probably not until 2020. There just aren't enough 5G networks in place yet and Apple tends to be a little slower to support these sorts of features (remember that the original iPhone only supported the slow EDGE network even though 3G networks were available). Apple replaced its Lightning port with USB-C on the 2018 iPad Pro models. USB-C is probably coming to the iPhone at some point, but again, probably not until 2020 or later. Apple, accessory makers, and customers have too much invested in the Lightning port to change right now.